Ah Paris, the City of Light. Paris is an enchanting city full of culture, history and absolutely delicious food. Instead of rushing around trying to pack in as many famous attractions as humanly possible, be sure to take time to sit and relax. Savor some downtime of people watching while enjoying a Paris café or a glass of wine. Indulge in classic French foods like croissants, macarons and savory cheeses. Breathe in the beauty of a French garden and chat with the locals. In other words, embrace French culture and explore with a sense of wide-eyed enthusiasm! If you’re heading to this global city for the first time, the following tips can help prepare you for a better trip to Paris and reduce the anxiety of overwhelming options. What do I need to know before going to Paris? Plan in advance. Learn how to navigate the city and schedule out your time. Plan for how you will arrive and get to your accommodations, as well as how to get back to the airport. Keep the address and name of your accommodation on you when you’re out and about. Consider getting Rick Steves Audio Europe App for walking tours, audio guides, and tips on the go. 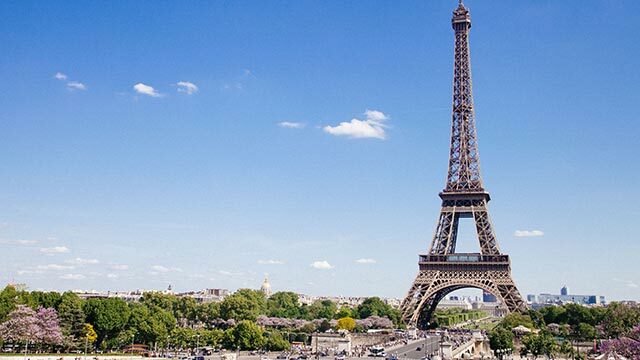 Learn key French words you’ll use throughout your stay. Buy a French phrasebook so your knowledge of the language shows respect to the culture – and makes you look less like a clueless tourist. You’ll get better treatment if you use pleasant phrases such as bonjour (good day), pardon (pardon me), Métro; s’il vous plaît (please), merci (thank you), and au revoir (goodbye). Don’t forget voltage converters/adapter plugs for electronics. Voltage in France is 220-240, so a simple all-in-one travel adapter and charger is a necessity. Like any destination, be aware of your surroundings and a keep a hand on your belongings. Tourists are prime targets for pickpockets in Paris. See our guide on How to Hide Cash While Traveling. If using the metro, keep your ticket in your pocket after entering. You may be asked to present it upon exiting or risk paying a fine. At restaurants in Paris, tax and tip are typically already included in the menu price. You can tip on top of this, but it’s not expected. Bonus tip: ask for tap water at restaurants instead of being pressured into buying bottled water. If you’re traveling abroad for the first time ever, take a look at our tips for traveling abroad for the first time and using credit cards, debit cards and ATMs in Europe. What should I do on my first trip to Paris? It’s no exaggeration to say that Paris offers endless opportunities for exploration. If you’re into experiencing major attractions, seriously consider purchasing a Paris Museum Pass or Paris Pass online before you go. Giving you access to over 50 top Paris locations and 20 additional attractions outside of Paris, a pass will save you money, time and grant you fast-track entry. Another perk of the Paris Pass: free rides on the Hop On Hop Off Bus Tour and optional Transit Travelcard for the Paris Metro while your pass is valid. This world-renowned museum is huge and insanely busy during the day. If you can, shoot for Wednesday or Friday evenings when the museum is open until 9:45 pm. 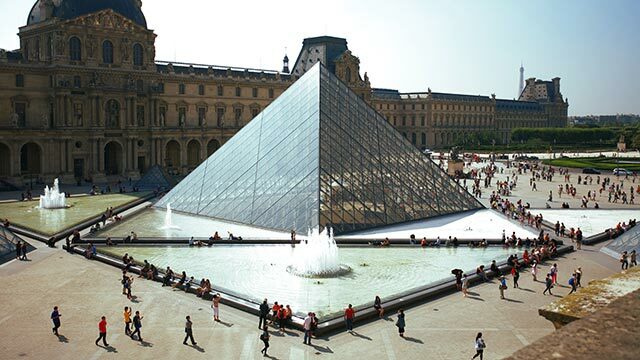 If an evening visit doesn’t work, book a Louvre Museum Timed Entrance ticket to skip the long lines during the day. No first trip to Paris is complete without a visit to the Eiffel Tower. Like any other iconic landmark, the Eiffel Tower tends to be packed with tourists. Plan to get up early. If you desire to go to the top with less stress, get yourself an Eiffel Tower, Second Floor Priority Access Pass. 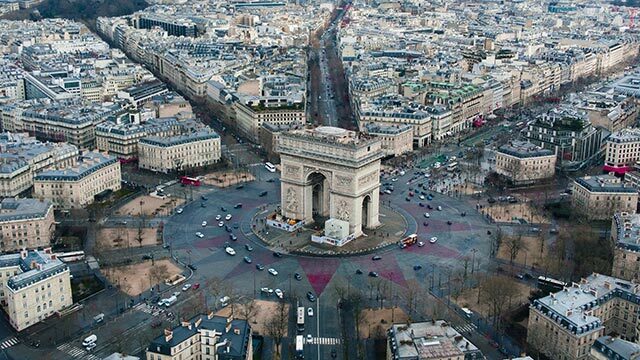 If you want a breathtaking view of the city from the top of a panoramic terrace (and the Eiffel Tower center stage), head to the famous Arc de Triomphe or Towers of Notre-Dame Cathedral. Both are included in the Paris Pass. 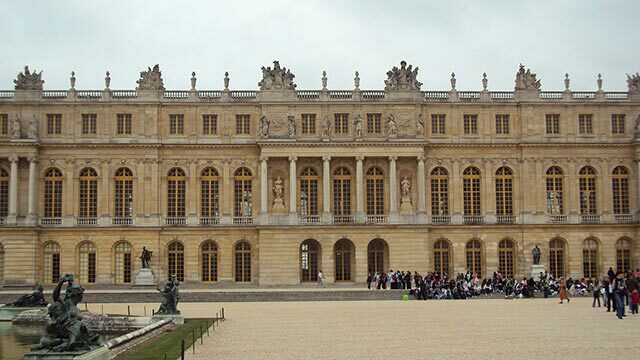 A luxurious summer retreat for past French kings, Versailles is a place of beauty. The Chateau De Versailles offers a massive collection of French works of art, concerts and French history dating back to the seventeenth century. From the royal stables, hall of mirrors and famous fountains to the beauty of the gardens, it’s no wonder this palace estate is a major attraction. Where should I stay in Paris for the first time? The question of where to stay depends on your preferred style of travel. Do you enjoy hostels, 4-star hotels, a boutique hotel, HomeAway or Airbnb? Are you traveling solo, as a couple or with a group? Whatever you choose, a good tip is to pick a well-located accommodation that suits the areas you’d like to explore. It may be a chic boutique hotel close to cozy cafes or an apartment rental giving you more space and a kitchen. If most of what you want to explore is in the city, stay in the city. To begin exploring your options, check out Where to Stay in Paris, The Best Area to Stay in Paris for First Time Visitors and the Best of France Guidebook for suggestions from experienced travelers. With language barriers, jet lag and so much to see, being a first time visitor to Paris can be overwhelming. With our tips and your advanced planning, we have no doubt you’ll fall in love with the City of Light.